Home Depot has displayed a solid understanding of the power and potential of mobile marketing, which is why the home improvement retailer has decided toincrease its mobile investment and initiatives. The company is expanding its mobile marketing in order to make the most of mobile’s ability to link the consumer’s in-store and mobile shopping experiences. 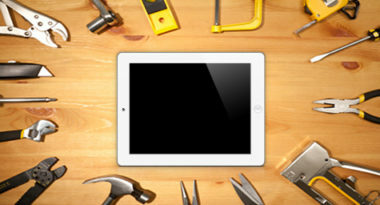 MediaPost.com reported on how Home Depot is making mobile a major marketing priority. Home Depot’s main mobile marketing motives are to personalize the consumer experience and to add value to their overall shopping. These goals will guide the direction of their mobile strategies on the Web, apps, social media, search marketing, advertising, and email marketing. Currently, Home Depot’s mobile-optimized site and apps provide access to 400,000 different online products, which is much more than the 35,000 sold in their brick-and-mortar locations. Since approximately one-third of the company’s customers came through mobile last year, their focus is now on enhancing their mobile Web and apps. One of their recent efforts included expanding their Buy Online program to both in-store search and apps. The company’s main app already offers many appealing features, including voice-activated assistance, an interior map for each of its 2,000 stores, in-depth product information, and a barcode scanner. The app has been downloaded 3.5 million times and an abundance of people have signed up for push notifications. “On Black Friday, our traffic to the app was up 60 percent because people responded to these messages,” said Trish Mueller, the company’s chief marketing officer. Social media marketing is also a point of interest, especially Twitter, which the company believes is a very promising marketing channel. They recently tested pushing tweets to mobile users based on their Twitter conversations, even those that were not marked with a hashtag. Last month, the company signed with the Weather Company as the first marketer to use a new Twitter video offering that incorporates “Project of the Week” videos into tweets that can be targeted by any characteristic. Another successful channel has been mobile search, whose ROI has exceeded that of desktop search for the company. In fact, approximately half of their searches are local. Home Depot has even started experimenting with augmented reality (AR) technology. Shoppers currently have access to an AR feature that shows them how an area can be landscaped. The company plans to develop additional AR features for the categories where the technology would be most appropriate. Finally, Home Depot is making a major increase in its mobile video spend by investing four times more than last year. The company is also extending its advertising into digital audio sites like Pandora. Stay constantly connected to consumers with mobile marketing. Contact MDG Advertising today at 561-338-7797 or visit mdgadvertising.com.